Architects who rely on free labour should be banned from high-profile projects like the Serpentine Pavilion says designer Adam Nathaniel Furman, who first revealed unpaid internships at this year’s pavilion architect Junya Ishigami. Furman published an email from Junya Ishigami + Associates on his Instagram account two weeks ago, in which the Japanese studio sets out terms for an unpaid internship. The email goes on to say that the studio is unable to help with visas for overseas applicants. Furman posted the message as part of his #archislavery campaign to encourage architects to share their experiences of unpaid internships and invite debate over the issue of architecture studios profiting from unwaged labour. The issue was subsequently investigated by the Architect’s Journal, which published a story on the issue. The Serpentine Gallery said it was discussing the issue with Ishigami. The Serpentine only supports paid positions on all of its projects and commissions and we are in touch with the architectural practice about this,” a spokesperson told Dezeen. The gallery does not pay architects for the annual commission, which has been running since 2000, when Zaha Hadid became the first architect to design a temporary structure for the gallery’s lawn. Royal Institute of British Architects president Ben Derbyshire said it was “shocking” to discover practices advertising unpaid internships. “The RIBA strongly condemns exploiting students in this way,” Derbyshire told Dezeen. As of 2011, RIBA chartered practices in the UK have been required to pay all their staff the statutory minimum wage. In 2016 this rule was updated to require RIBA regulated architects to pay the UK’s Living Wage. Japanese architect Junya Ishigami was announced as the architect for this year’s Serpentine Pavilion, a prestigious annual commission to build a temporary structure next to London’s Serpentine Gallery, in February 2019. 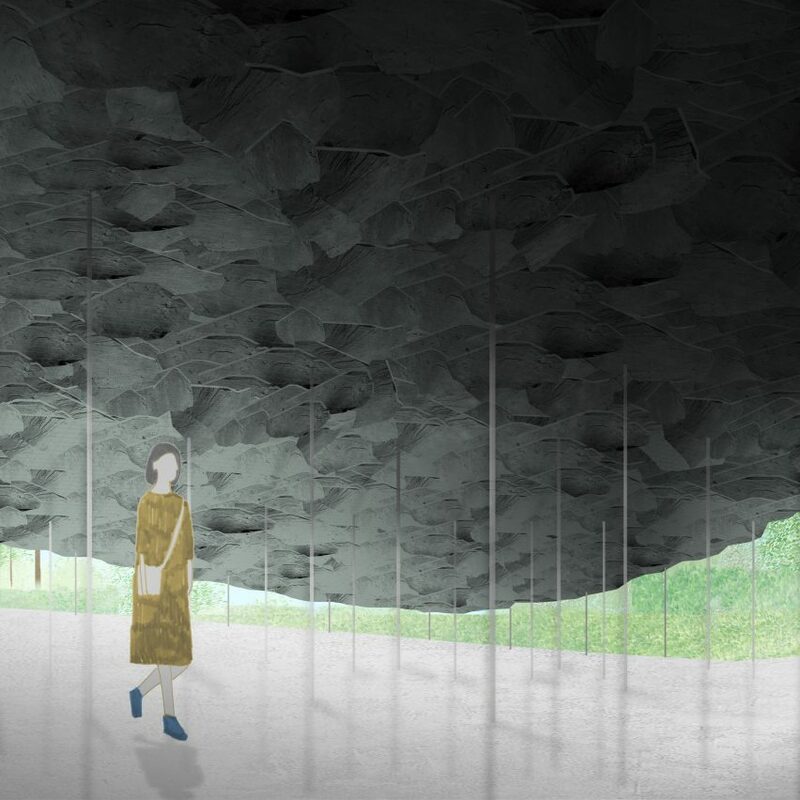 Ishigami’s concept features a roof of natural slate arranged to appear as though a rocky outcrop has emerged from the lawn of Kensington Gardens. A similar row erupted six years ago when Sou Fujimoto, architect of the 2013 Serpentine Pavilion, cheerfully acknowledged his own practice’s use of unpaid interns. Unpaid “open desk” internships are common in Japan, although they are illegal in the UK. According to Furman’s Instagram feed, other well-known practices offering unpaid internships include Pritzker Prize-winning Chilean architect Alejandro Aravena‘s practice Elemental, and Studio Mumbai Architects in India. Miralles Tagliabue’s practice EMBT in Spain is currently advertising for an internship position where architecture students or graduates must obtain their own funding through the EU’s Erasmus scheme. Dezeen has approached all the architecture studios mentioned in this story for comment. The post Architects who don’t pay interns “shouldn’t be given prestigious commissions” says designer who revealed Ishigami internships appeared first on Dezeen.